The real story is the future revenue for Star War Battlefront. Dice Games has produced what appears to be a first person game that combines topnotch graphics and spectacular but violent game play with a global brand that’s about to release a highly anticipated film in 2015. 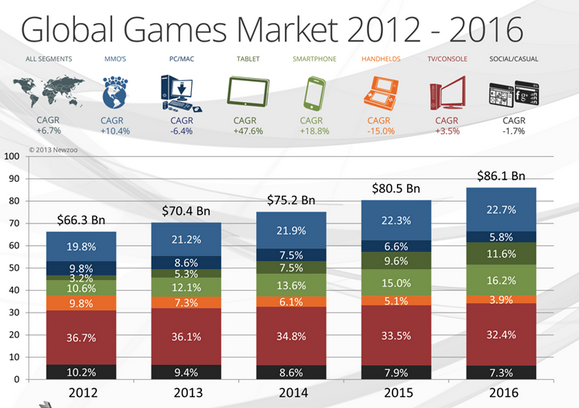 We know that video games are already much more lucrative than film as of 2009. Movies are a 30 Billion dollar industry while Video Games at a 70 Billion dollar industry. Isn’t it more entertaining to be part of the story rather than passively watching a film? I believe that the film will make 1.5 Billion but this video game could make much more….and as a proxy, I use revenue to mark the entertainment value of a content. Therefeore Battlefront, quite possibly, will be more entertaining than any of the films. Dice Games is responsible for the video game above. It looks as though game developers are pushing the boundaries further with war gaming and with highly entertaining effects. Although war is not supposed to be taken lightly, games like this do aclimate players to violence which could be helpful in an alien invasion or an unfortunate proxy drone war between competting world powers. Certainly land invasions that are piloted by people sitting in their pijamas is on the horizon in our near future as a species. I hope to not be a civilian victim of a drone attack in my lifetime though, so lets work on world peace people! Interesting that Dice is Swedish.